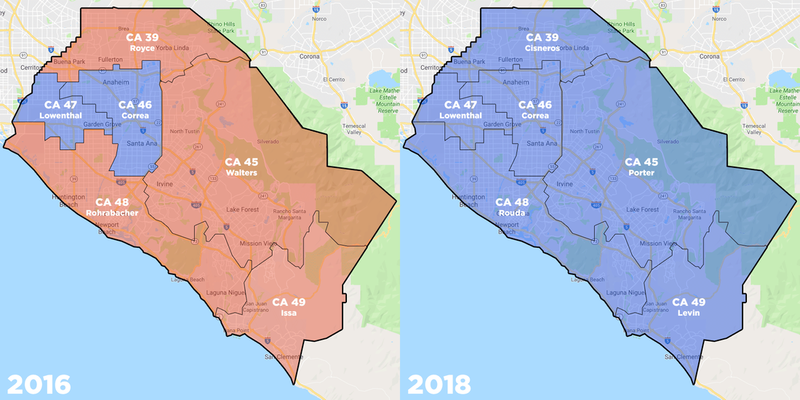 Orange County has gone blue. 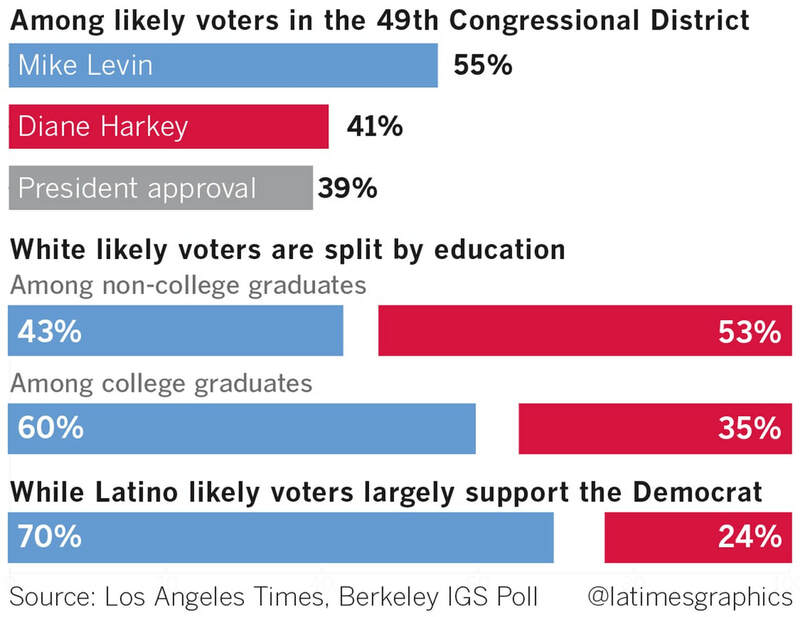 Five of the six key races in Southern California went to Democrats in 2018. 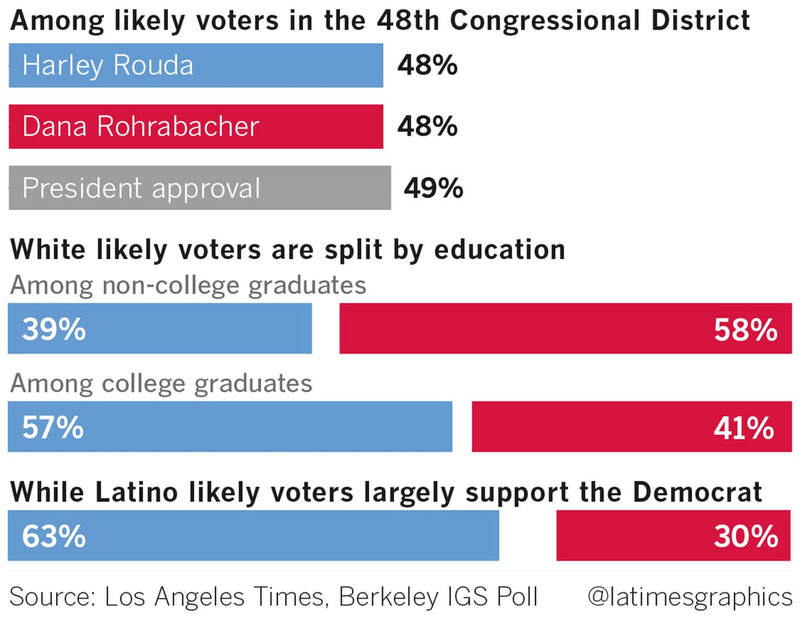 Some of the races weren't called until weeks after the election (including CA-39 and CA-45), but in the end every district except for CA-50 flipped. Democrats also took control of the House of Representatives in 2018, establishing a real check on Trump for the first time in two years. A total of 40 seats changed hands in the November 6 election. The magnitude of the Democratic win qualified as a blue tsunami. California 2020 was active in CA-49, CA-39, CA-45, and CA-48. Congratulations to Mike Levin, Gil Cisneros, Katie Porter, and Harley Rouda. We also participated in the Nevada Senate race and we celebrate Jacky Rosen's win there as well. Our PAC was never going to win an election outright, only influence a few thousand votes in a few key races. As I said in an email to two major donors, we were a strand in a tapestry of efforts to flip these California districts and win the Senate seat in Nevada. No individual thread in the fabric is more important than any other. However, in a close race, ALL the efforts are needed. This election coming up in November is one of the most important elections in decades. It's our chance to put a check on Trump. It really does matter this time! 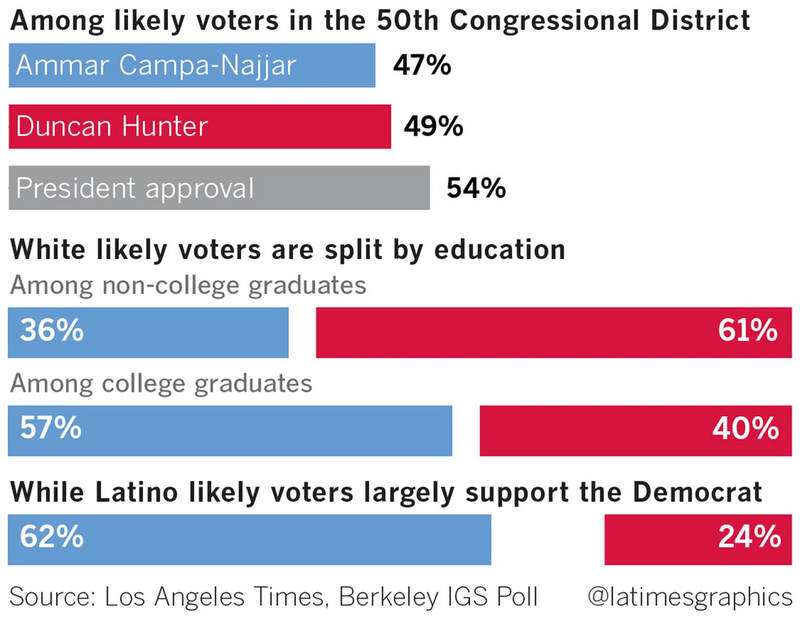 According to a recent article in the Los Angeles Times, "Republicans are at risk of a wipeout in California’s six most hotly contested congressional races, a new poll shows — a result that could radically reshape the state’s political map, with major consequences nationally." The only way to check Trump's agenda is by taking the House. 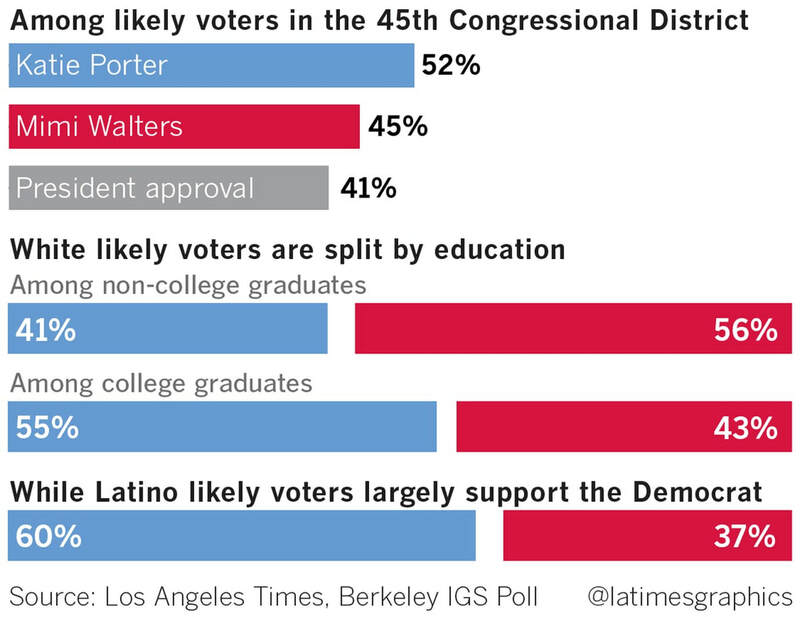 And these six races are the key. 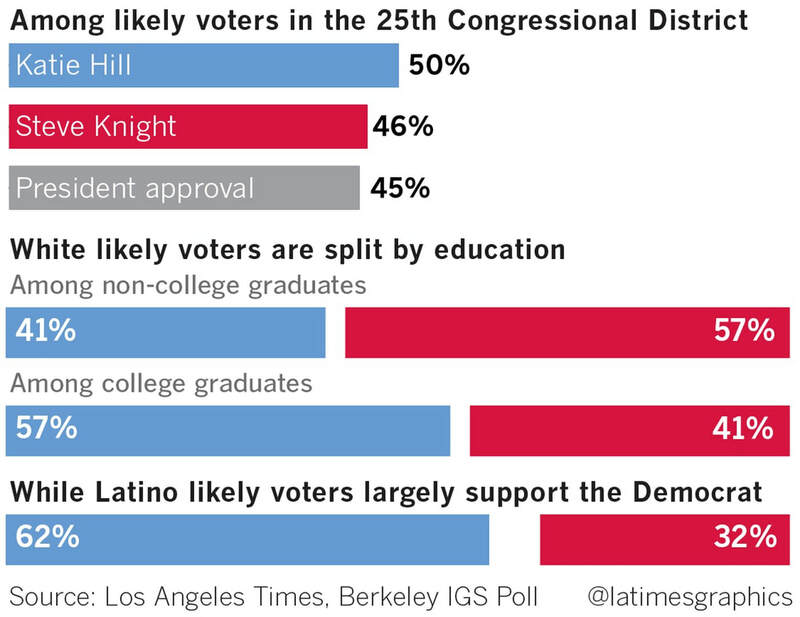 ​However, all of these races are on a knife's edge and could go either way. Each race will be decided by a few thousand votes. You are fortunate enough to live in one of these incredibly important swing districts. Your vote will decide control of Congress! LOOK HOW CLOSE THESE RACES ACTUALLY ARE! Let's elect these Democrats so that we can make Congress a bulwark against the Trump agenda.